Können Sie mir helfen? Augmented Maps. The ever increasing proliferation of media that is generated through the collective use of mapping and image-making platforms, is creating new ways of seeing and exploring the environment. I propose artistically and actively to investigate this new reality created by the integration of people’s perceptions, where the place constitutes the map and the map constitutes the place. The book entitled: «The need to document» [Havranek, Schaschl-Cooper, Steinbrügge, JRP Ringier Kunstverlag, 2005] analyses this question and notes that the artwork often refers to «something else» that is not in the picture. I approach the city as an outsider/migrant/ tourist. 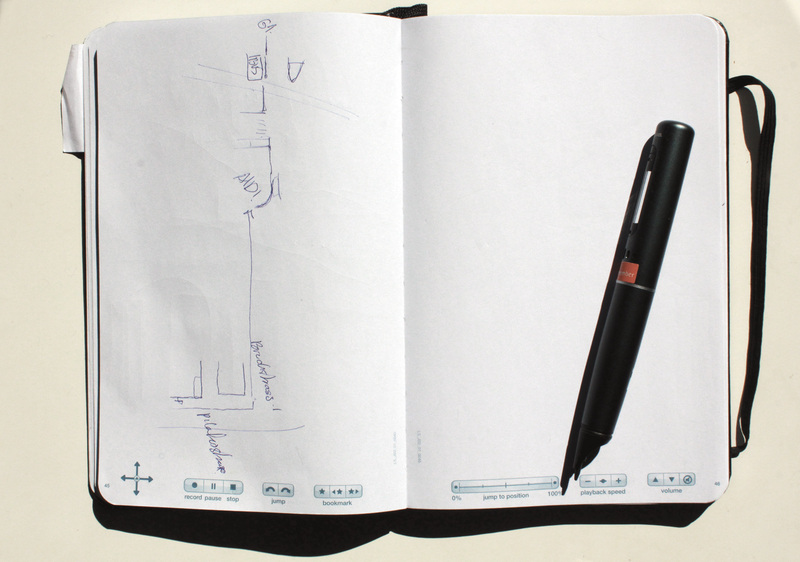 I take an analogue-digital sketchbook and a smartpen (a digital drawing device), which can record sound, with me. I ask people to draw me 68 maps of how I get to Baselstrasse (a street that is infamous in the city of Lucerne for being dangerous and is located in the axis Kasernenplatz- Seetalplatz) from different areas of the city of Lucerne. My wish to go to this place on foot is central and I need someone to draw me a map inorder to fulfill this wish. 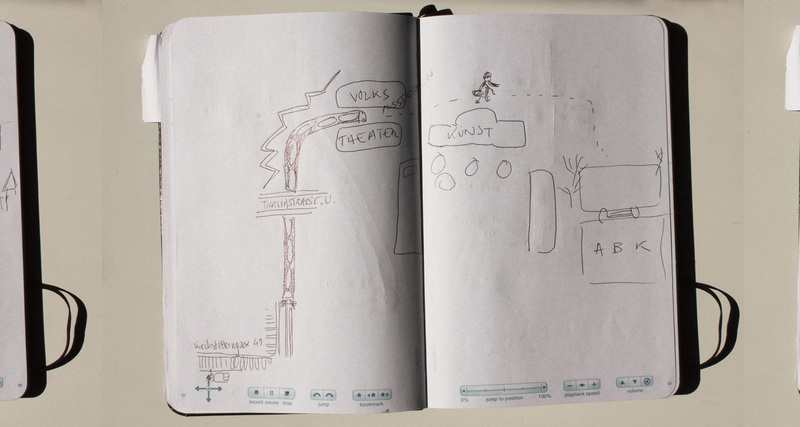 Sound recordings will be generated while the participants are drawing the maps. The product of my research is a collection of maps with indications and suggestions about the place I was enquiring about, made by different people. They become practical non-standardized forms of information. They are citizen-produced media. The drawings with the recorded sounds create a collection of both information and of human connections that relate to the time and space in which the drawings were made. They also show how these pieces of information can help me personally to find my way … Drawing in this case is interlaced with the practical/useful information that doesn’t require rigorous skills but knowledge of the area. Drawing can question the values of a social space, become a tool in developing an adventure, be used, as an event in different contexts and with different social variables, drawing is a system of relationships to be reinvented: «Drawing is the shortest route between the physical and the semantic ». While people draw me a map, I ask questions like: Could you help me by describing the way to the Baselstrasse? How is the Baselstrasse? Have you been there? Do you like it? I position myself as the ‹other›, the stranger, and the foreigner, far away from the flow of the city and the people in their daily lives. The Baselstrasse has been stigmatised for years, but by whom? Can this city and its’ people help me to get to the other ‹other›?